6 -way CO2 Distribution Bar with Shut-Off Valves - MFL - Texas Brewing Inc. 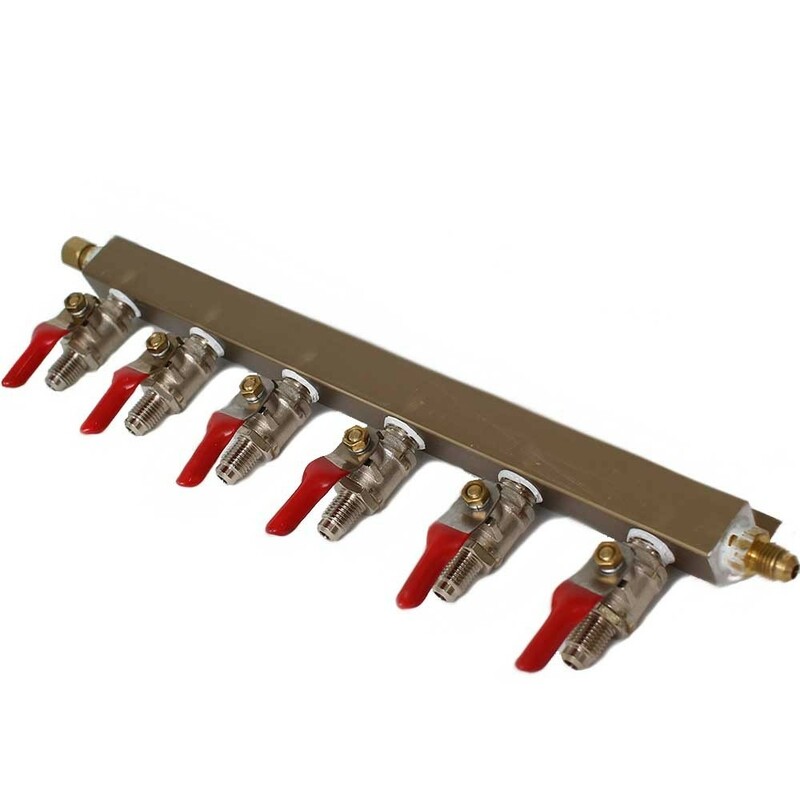 Distribute CO2 from one air tank to six separate kegs. Distribute CO2 from one air tank to six separate kegs. Separate shut off valve for each line. Brass construction.